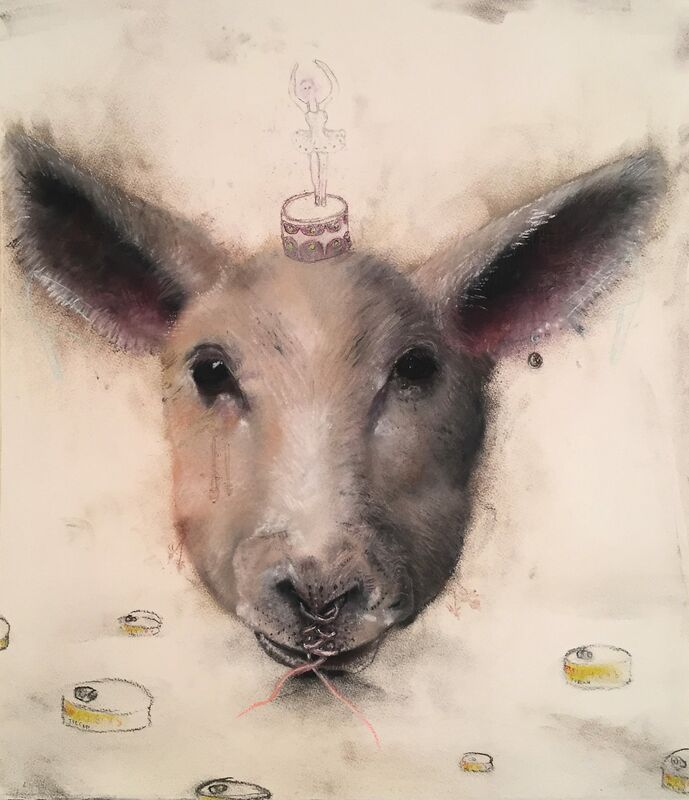 Joseph Broghammer, who may be best known for his signature “Flock of Joe,” edgy pastel drawings of birds with an attitude, will return to the Garden of the Zodiac in March, this time with more current work, from down on the farm, pasture or prairie. 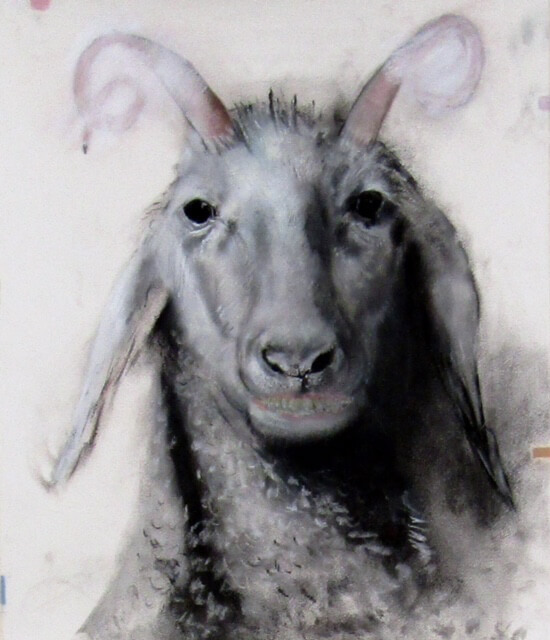 Works in this solo exhibit are drawings with chalk pastel and pencil on paper from 22” by 24” to 42” by 43” in size. About 20 will be on display until May 21. 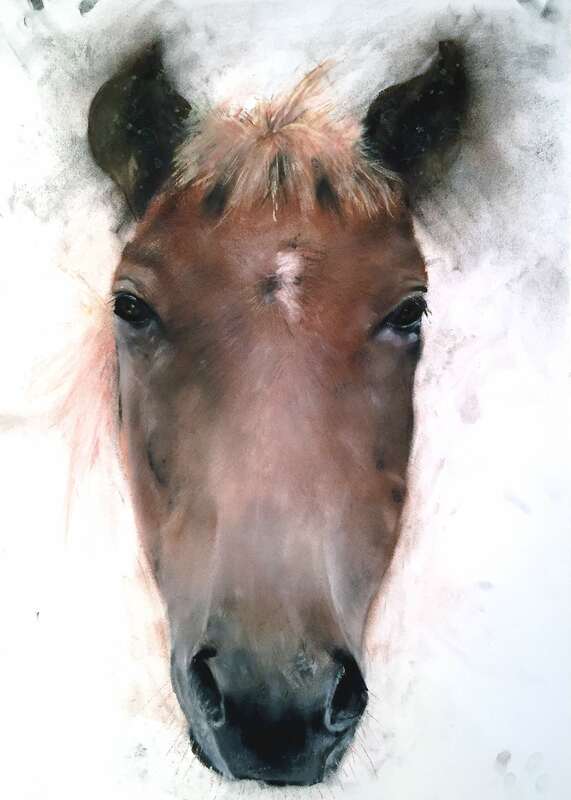 Although Brogrammer’s imagery is more domestic of late, a mix of bovine, bison, sheep, pigs and horses, his aesthetic of an engaging palette, delidate precise detail and offbeat point of view make his animals both familiar and individual. Which is to say that each of his “pets’ have a personality. Broghammer’s to be exact. But each piece remains true to its own nature as well. “I want to show the true personality of each animal,” he said. “I am not trying to make them something they aren’t. Some of the animals are drawn with a story embellishment overlay and some or just the beast. Not that each animal spells out what it may signify or reveals itself easily to the viewer. In the past, Broghammer’s flock or herd have mostly been personal Cairns on his own quest for meaning. A rather unique blend of mark making and marking one’s trail. “It’s a journey in life we all have to discover about ourselves,” he said. Make what you will of it. Joseph Broghammer’s solo exhibition opens Thursday, Mar. 23 from 7-9 p.m. at the Garden of the Zodiac Gallery in the Old Market Passageway. For more details and gallery hours, go to https://www.facebook.com or call 402.341.1877. ‘Close Imaginary Time’Vaccines. Are They Safe? Are They Effective?